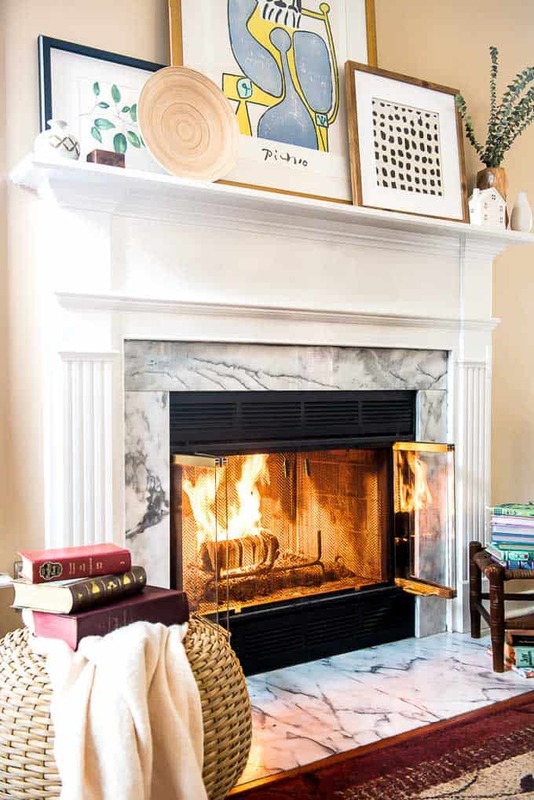 As we settle into an unseasonably chilly winter here in Georgia my mind has increasingly been drawn towards fireplaces and how to make them look their best. While our fireplace at our new home is currently on the fritz and awaiting repair, I was able to enjoy an afternoon recently at a friend’s house and admired her gorgeous fireplace. Her decor was so pretty it inspired me to share some ideas with you on how to decorate a fireplace. Many people spend a lot of time perfecting their mantel decor but then neglect to do anything with the hearth area, it’s a shame! Chairs, lanterns, large candlesticks, or footstools all make incredibly easy hearth decorations and you can probably find them looking around other areas of your home. When decorating your fireplace it’s easy to line items up in a row along the mantel but layering gives a much more sophisticated look. Use one large piece of art, picture, or a mirror towards the middle of the mantel and layer smaller pieces in front. Add movement with greenery or candles of varying heights growing taller towards the center of the mantel. It’s fantastic when your fireplace looks good but if it’s not a practical setup it does you no good when you’re actually ready to use it! 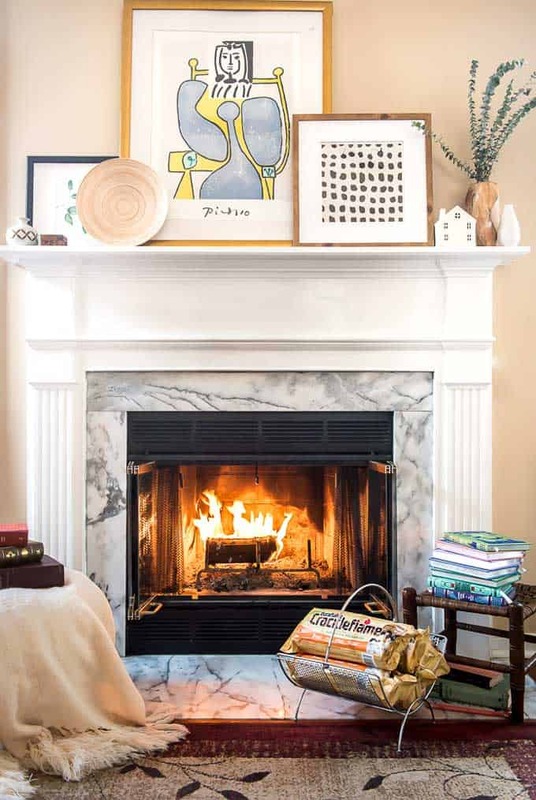 Nothing gives ambiance like a burning fire, so keep firelogs in an accent basket nearby on the hearth along with a lighter or matches for a fast, full, crackling fire in just 5 minutes. There’s not much in life more comforting than a crackling fire on a chilly day, am I right? Play on that soothing feeling by keeping your fireplace area cozy. Keep a warm throw blanket nearby and accent with books to make the area inviting and encourage people to cuddle up next to the fire! Enjoy your fireplace and have fun with decorating it! I love tinkering around with my fireplace decor and changing it seasonally or even monthly. 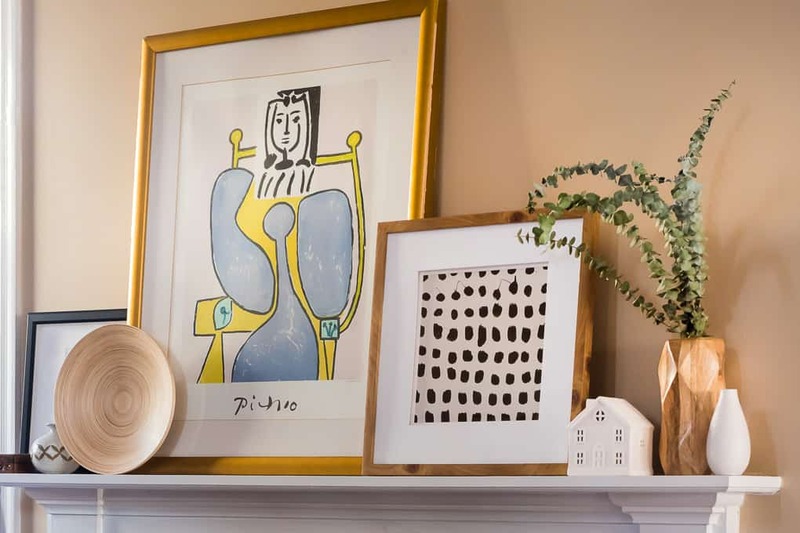 Take advantage of the focal point in your home and get creative. 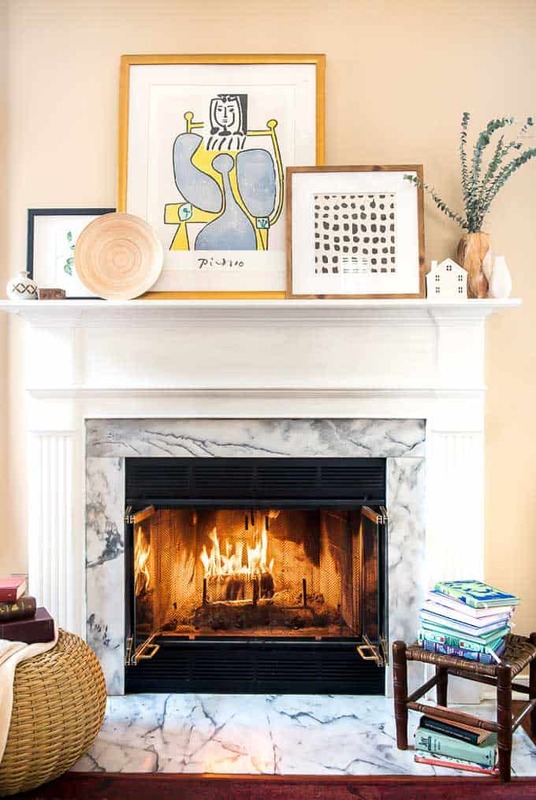 Shop your home for decor from other areas and challenge yourself to combine them to decorate the fireplace mantel and hearth. What are your favorite ways to decorate your fireplace?